The Collaborating Council (CC), representing the six (6) U.S. territories and associated Pacific Islands Jurisdiction was originally an Initiative sponsored by the Center for Substance Abuse Treatment (CSAT), Substance Abuse and Mental Health Services Administration (SAMHSA), was organized in May 1997 in Palau known as the Pacific Substance Abuse and Mental Health Initiative (PSAMHI). 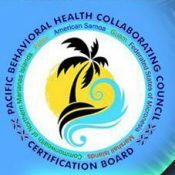 At the September 1999 meeting held in Guam, PBHCC members worked on its incorporation of Articles and Bylaws thereby incorporating the Pacific Behavioral Health Collaborating Council (PBHCC). In the early stage of PSAMHI’s organizational development (administrative and decision-making body), the Pacific Institute for Counselors Educators Development (PICED) was also developed to promote sustainable, culturally appropriate training and education forum for Pacific Island counselors and educators to include staff development and certification. CSAT funded PICED from May 1997 to June 2001 to conduct Training of Trainers (TOT). Levels of certification vary in each jurisdiction. The purpose was to develop a cadre of local trainers, and curriculum that is culturally appropriate and meaningful for the jurisdiction. At the June 2001 meeting in Palau, funded by CSAT, representatives were sent by each jurisdiction’s director to discuss immediate and long-term manpower needs of the substance abuse and mental health services. Funding of PICED had run its course by June 2001. At this meeting, jurisdiction representatives had expressed the need to continue staff development and training under the auspices of a certification program offered by each jurisdiction community colleges. American Samoa and Palau have local certification programs. The Collaborating Council recognized that National and International affiliation is important for credibility and prestige. Therefore, in June 2000, PBHCC applied to the International Certification & Reciprocity Consortium/Alcohol & Other Drug Abuse, Inc. (ICRC/AODA) for membership and at the December 2000 Board of Directors’ meeting in San Diego, PBHCC was voted in as the “Pacific Certification Board” (PSAMHCB), the certification body for the Pacific Jurisdictions.